Collegiate and high-school foodservice-training programs awarded for familiarizing students with actual day-to-day workings of the hospitality industry. 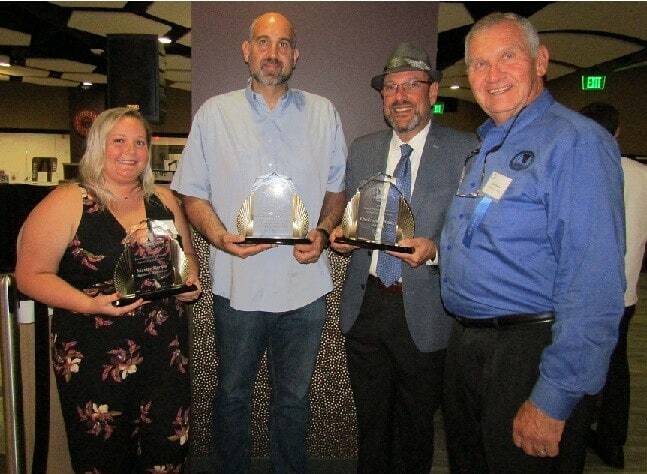 ANNAPOLIS, Md., June 21, 2018 – The Idaho Potato Commission (IPC) recognized professional foodservice-training programs with the 2018 Idaho Potato Commission Leadership Innovation Awards for Excellence in Foodservice Education at the 14th-annual Leadership Conference of the Center for the Advancement of Foodservice Education (CAFÉ) at Milwaukee Area Technical College (MATC) in Wisconsin on June 14. Emphasis this year focused on how educational programs reflect real-life experiences, enabling students to better translate and adapt their classroom training to the needs of industry. The awards were open to all foodservice instructors in high schools and postsecondary schools nationwide. The top educator in each of three categories received $1,000, a customized award from the Idaho Potato Commission and full registration to CAFÉ’s conference in Milwaukee. Deutsch founded Drexel Food Lab in spring 2014 with the goal of a creating a research center that allows students and faculty the ability to partner with industry, nonprofits and government entities to solve real-world food-systems problems. Current project areas include food sustainability through food-waste reduction, health promotion and inclusive dining (such as vegan-protein puddings for prisons). The lab and its culinary students have been a national leader in developing safe, healthy and affordable food products from recovered foods, or food waste. For example, the Food Lab collaborated with the Baldor company to create a dried-vegetable blend; it invented a meat substitute using okara, a byproduct of tofu production; and it worked with the company Love Beets to create a beet powder made from beet seconds. 2018 Honoree, Secondary: Marlee Barton, Highland High School, Fort Thomas, Ky. In Barton’s program, which is relatively new, she strives to bring real-world culinary experiences to her classes through informative guest speakers who provide students with practical knowledge and experiences in the culinary field. For instance, Barton invited a local herb/spice-store owner to lecture on various flavors and smells of which many students were completely unfamiliar. Field trips to area restaurants and hotels to observe operations are another tool Barton uses to create better understanding of a career in hospitality. Barton teaches a wide variety of culinary classes and incorporates work-based learning in many. This includes a student-based catering business for the staff and community, as well as making cookies for the district’s elementary schools. Students are involved in the selection of foods, recipe creation and cost analysis for profit determination, providing experience in planning for both large- and small-quantity food production. 2018 Honoree, Non-traditional: Adam Weiner, JobTrain, Menlo Park, Calif.
Weiner has served as culinary-arts instructor at JobTrain for 15 years. His education philosophy: “I do not teach anyone how to cook. I teach everyone how to work in a commercial kitchen.” Indeed, his classroom operates more like a commercial kitchen with the expectation that students act as employees. His unconventional approach to teaching—which has earned numerous raves from the foodservice-education community—prepares students for the real world. For instance, his syllabus reinforces timeliness, working in teams for the good of the kitchen and the proper techniques for reporting absences. Graduates of the program are often called upon to teach. Weiner combines his passions for teaching and the community in many service projects involving his students, which include baking more than 10,000 cookies for inmates at the county corrections facility and serving dinner monthly to 150 underprivileged people through a nonprofit organization, Table of Plenty. students for vibrant, fulfilling careers in the ever-evolving foodservice industry. Through its Web portal, online magazine “The Gold Medal Classroom” and annual Leadership Conference, as well as its series of regional skills workshops nationwide, CAFÉ is dedicated to addressing the unique needs of highly specialized professionals who wear two hats as culinarians and teachers. For more information, visit www.CafeMeetingPlace.com.